I've been playing around with some new beauty products lately, and I just had to share them. Firstly: Fragrances. I've mentioned that I love having many different fragrances around and spritzing myself with whatever my mood for the day is. I got a lovely package with some really pretty perfumes in there. I got the 'Delightful' fragrance from the extremely gorgeous Melinda Messenger. I'd been meaning to try out the fragrance for a while, and it lived up to expectations. It's a gorgeous smelling perfume, and I particularly loved fruity and fresh smell to it. It definitely smelt like being outdoors during a summers day, which is definitely one of my favourite smells. There was also a men's fragrance in there: Lambretta, which made a great present for my dad, who's in town visiting at the moment. We got the L47 Scooter fragrance, which is inspired by their well known scooters. My dad loved it and I even considered keeping it for myself. It really smelt amazing. My favourite from my package was definitely Katy Perry's new 'Meow' fragrance. The bottle is the sweetest thing ever as it's shaped like a cat. This is her second fragrance and I will be wearing it a lot in the coming weeks. It smells so sweet and gorgeous. This is perfect for everyday wear with it's sweet and fruity smell. If you're on the hunt for a new fragrance, I definitely recommend this one. Label.m are also doing a lot of cool new products, perfect to get you going this summer. They've joined forces once again with designer Giles Deacon, and the collaboration contains the 'Swan' print from his SS12 Collection. There are large totes and a matching pouch, with the swan print, and as you can see in the picture, it looks gorgeous. You can get a free pouch with any 2 full sized products, a tote bag with any 3 full sized products, or both with any 5 full sized bottles. I go on about how amazing label.m are, so choosing a few products to buy should be no issue. 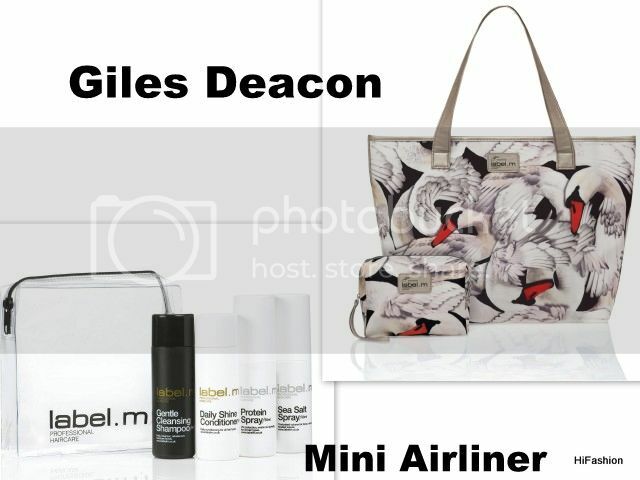 They've also launched their mini-airliner range, which is perfect for whether you're travelling or doing any summer festivals. You get 4 mini-products and you can choose from the Cleanse, Condition, Create and Complete ranges, so there is a huge variety to chose from. This season sees the introduction of mini dry shampoo and mini hairspray, which seems perfect if you're on the go. You also get a mini pouch to fit the 4 products in. I've been using the mini products lately and they pay hommage to the rest of Label.m as they're so amazing on my hair. Label.m's products are always one that work really well. What beauty products have caught your eye recently? I always stick with the same products - I need to branch out and try new ones! Loving all the eye catching packaging on these - I'll have to branch out and try SOMETHING new :) xox, pretty girl! I love fruity scents! I'll have to try 'Delightful'! im on a beauty hiatus at the moment, so nothing cute for me until june. hurry, june! The 'Delightful' fragrance comes in fruity fragrances that well reminds you of summer. 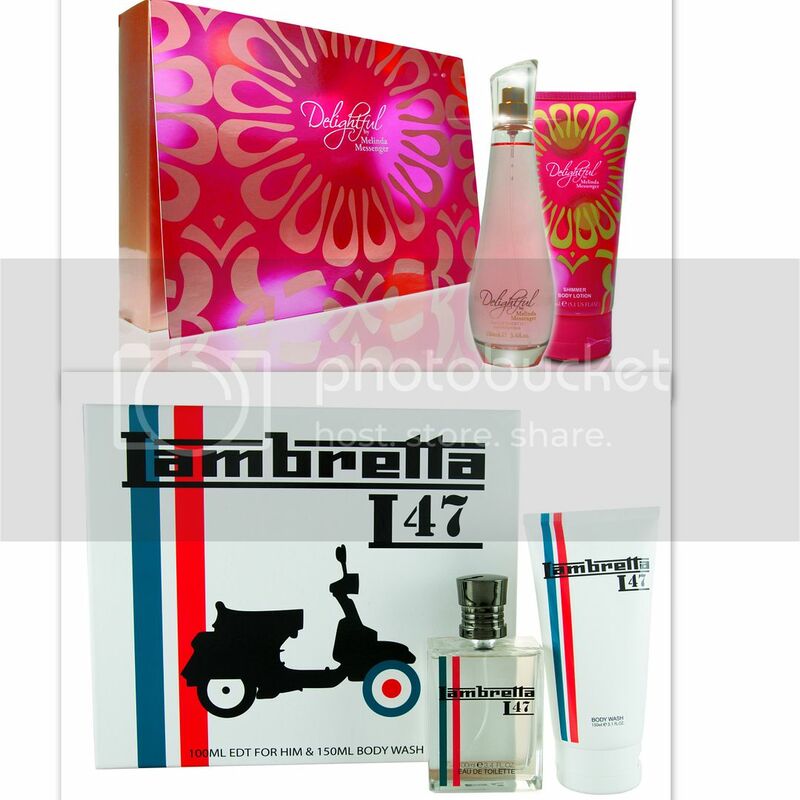 Lambretta is also a partner of this perfume that even your dad was able to love. And also, the 'Meow' fragrance is something that I personally want to get my hands on because it's Katy Perry's product, it's got a cute bottle with it, and because I'm just downright curious about its scent. I haven't been huge into fragrance before.. but this year I got a few new ones and I think it's having the choice that makes fragrance interesting! It's fun picking something just based on what you're wearing and your mood. Aww...the kitten bottle for Katy perry's perfume is so cute! I been thinking of buying a new perfume too. I've got Marc Jacobs daisy in mind. Hope you having a great weekend Sherin!!! All photos are taken by me, unless otherwise stated. If you do see one of your pictures here and would like me to remove it, or you would like to use one of my pictures, all you have to do is send me an email and ask. Visit Sherin's profile on Pinterest.